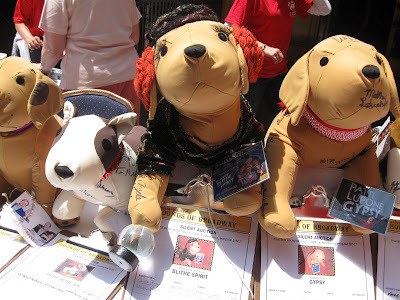 Adventures in the Endless Pursuit of Entertainment: Broadway Barks 11 is today! 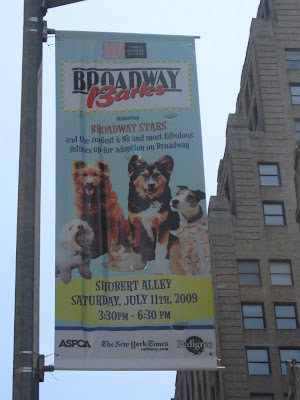 Broadway Barks 11 is today! 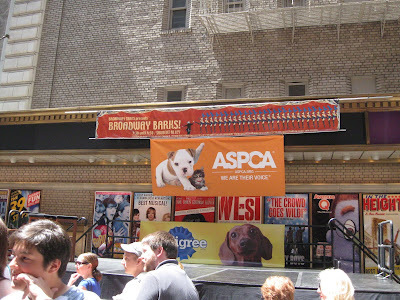 There's still time to get down to Shubert Alley for Broadway Barks 11! 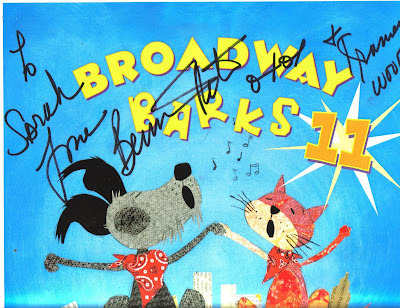 Earlier today, Bernadette signed copies of her book "Broadway Barks" and other memorabilia. She was assisted by my very own Little Love Noah!. 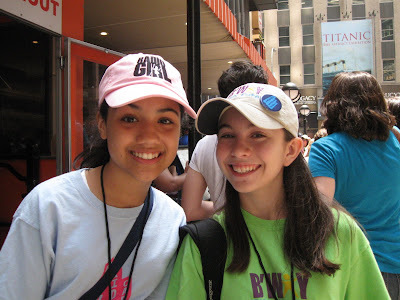 The B'way Kids Care have been selling playbills for the event as well as raffle tickets. Memorabilia and other cool stuff was already for sale, and an auction of cool stuff and celebrity-autographed memorabilia is beginning at 3:30. At 5:30, presentations of pets from citywide animal shelters will begin. Holy cow, that's a lot of Broadway stars! Speaking of Lauren Graham (love her!) have you had the chance or inkling to go see Guys and Dolls? And if you have, is it good?